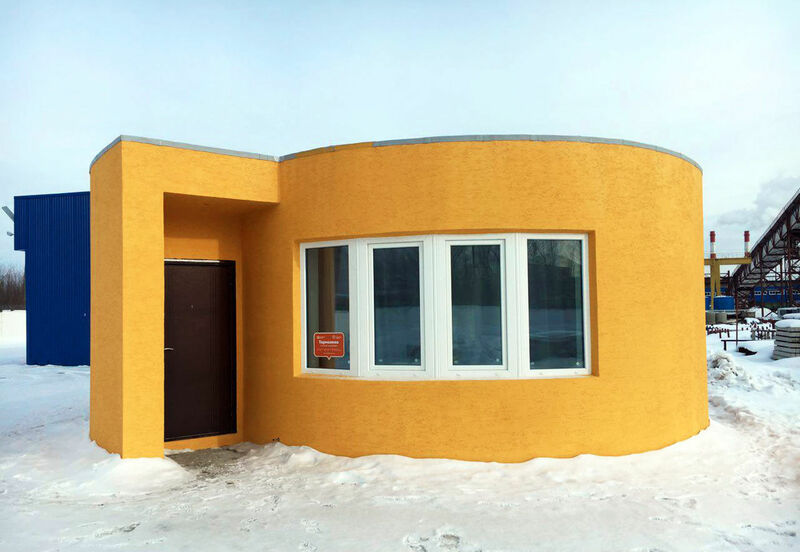 San Francisco-based startup Apis Cor built a whole house in a Russian town within 24 hours. It didn’t repair an existing home or use prefabricated parts to make that happen — its technology’s secret lies in 3D printing. The company used a mobile 3D printer to print out the house’s concrete walls, partitions and building envelope. Workers had to manually paint it and install the roofing materials, wiring, hydro-acoustic and thermal insulation, but even those didn’t take them that much time. The result is a 400-square-foot house that’s around as big as a standard hotel room. It’s no mansion, but it could be a good choice for people who prefer tiny homes. Apis Cor says the whole house set it back $10,134, with the door and windows eating up the largest part of the budget. That sounds about right for a tiny home, though that amount doesn’t seem to including the cost of the land itself. The company has uploaded a video of the process you can watch below. It even shows what the interior looks like with appliances, including a curved TV that fits the house’s curved wall, provided by Samsung. If Apis Cor does start 3D printing houses, owners can choose any shape they want and even choose to make one larger than this compact abode. By Daniel Lin in News on March 8, 2017 .